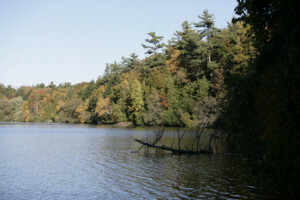 The Oak Ridges Moraine Walk introduces you to a variety of landscapes and ecosystems that make this area incredibly unique. The Oak Ridges Moraine Walk links together the East Humber River, Cardinal Woods, Mallard Marsh and Briar Nine Park and Reserve. The Humber Flats Ecopark, another site along this Walk, is an interesting example of how urban development has been designed to incorporate a diverse community of ecosystems within an urban setting. Not only do the trails provide a great way to keep active, but there is a really good chance that you will catch a glimpse of a red-winged black bird or hear the call of a green frog along the way. The variety of wildlife habitats and natural features along the Oak Ridges Moraine Walk make it an exciting part of the Town to explore. The entire trail circuit which passes through Beaufort Hills Trail, Humber Flats Ecopark, and Briar Nine Park and Reserve is 6 km long, requiring approximately 2 hours at a leisurely pace. Wheelchair accessible routes are provided at Beaufort Hills Park and Humber Flats Ecopark. Parking is available at Russell Tilt Park.